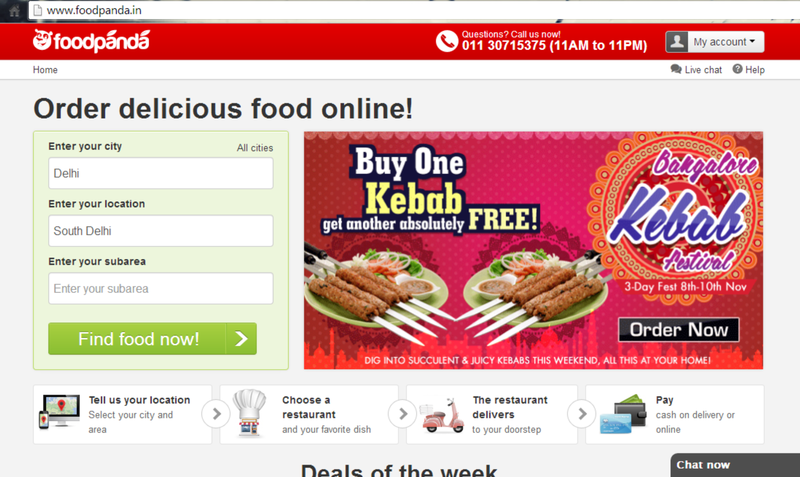 REVIEW – Foodpanda.in online site. I am a big big foodie! I absolutely love eating 😛 it also shows on my weight 😛 lol but I just can’t resist food! Though I love love love eating out with friends and family, I also enjoy ordering food at home a lot!!!! 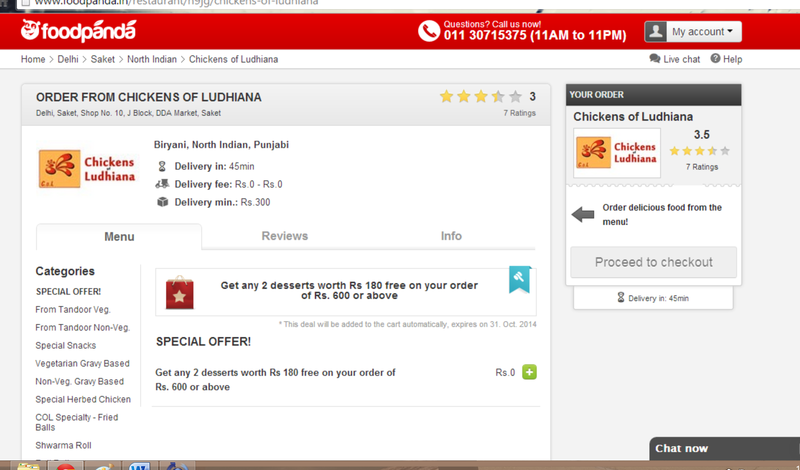 Ordering in food looks like it was made for lazy people like me. 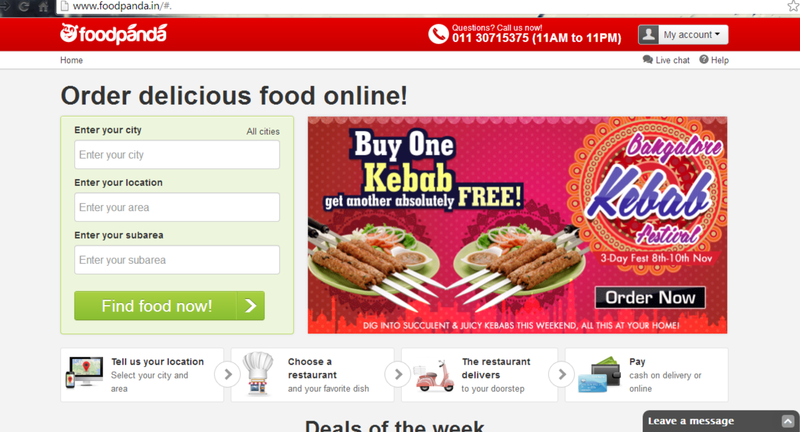 Foodpanda.in is a site for ordering food at home. They have the option of paying by card online or cash on delivery. They have a huuugggeeeeeeee collection of restaurants. You search a restaurant from their list. Lots of cuisines to choose from! They have brought together so many restaurants on their site! Basically, they have made a common place for so many food joints and you can order from any restaurant from one site itself. Instead of calling your restaurant which frankly I find a huge hassle, when you call them, they keep you waiting so many times and then you keep repeating your order! Here you can just choose what you want online and order! 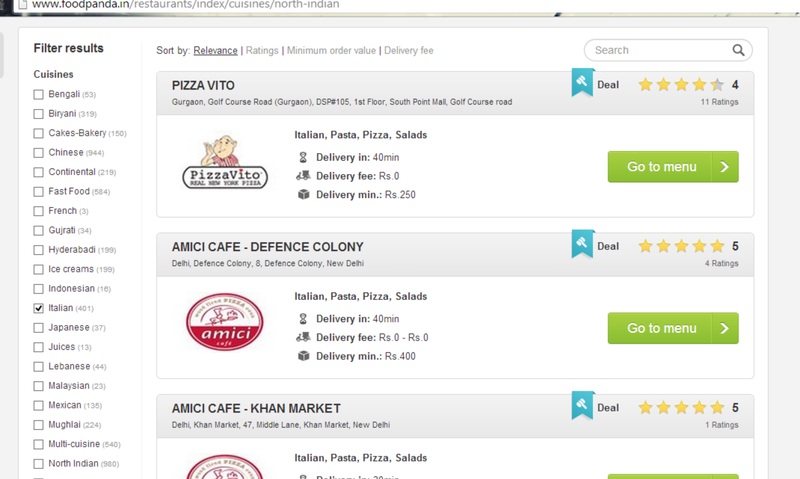 On the home page, you enter your area and there itself all the restaurants are sorted according to those that deliver to your area. 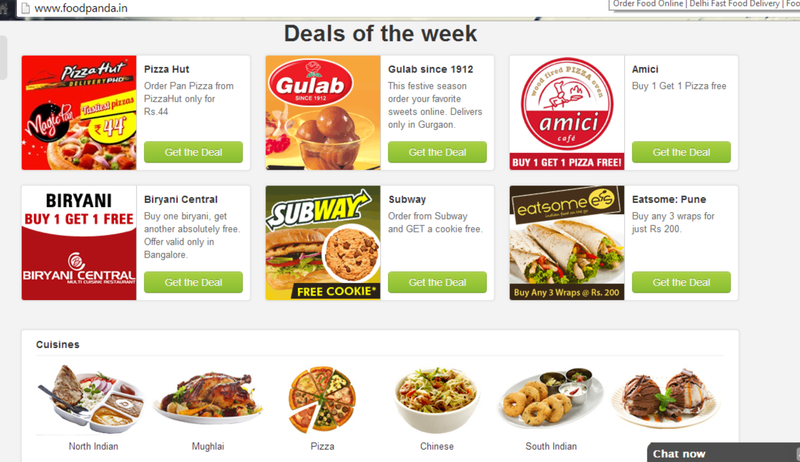 Also on the home page, there are the current deals and offers running on various restaurants which is really cool IMO. 😀 I never am able to keep track of such offers so now I’ll always know the current offers when I want to order stuff! Then you can just select the place you want to order from. Then you see their menu. 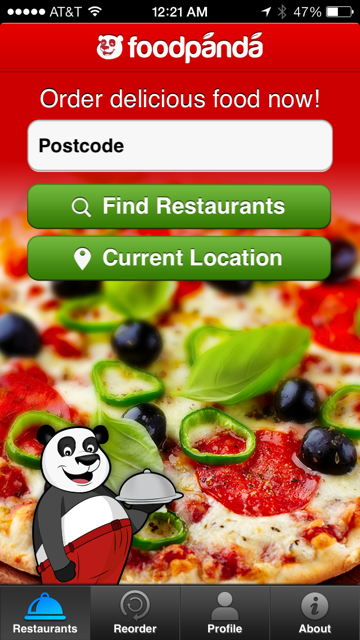 Once you place an order it will be confirmed with a verification code on your mobile phone. And voila! You’ll get your order at your home from the restaurant you like! They layout is very very simple and its very user friendly. So, even if you’re not familiar with online shopping or something, this will be very easy to use. Another thing I really liked is their live chat feature was very prompt. I asked a few questions to their customer care person and I got immediate responses and very helpful responses! A big thumbs up! As you can see in the picture below, the live chat window to the right bottom side. Seriously, how easy can it get? 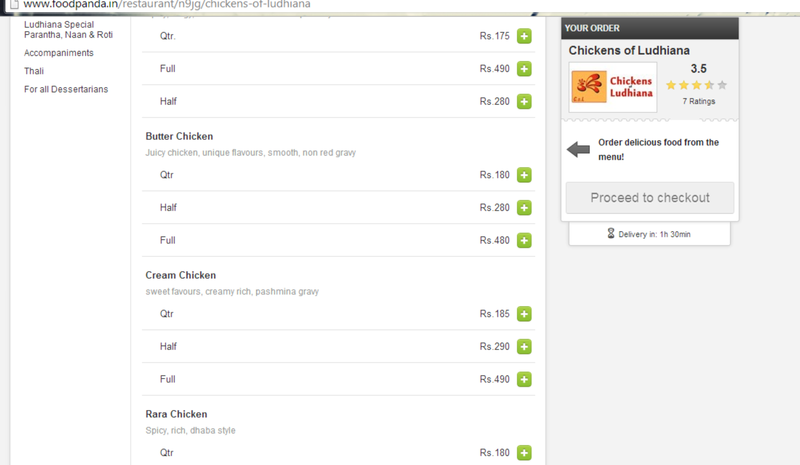 Just order food to your doorstep from a few clicks on your mobile. 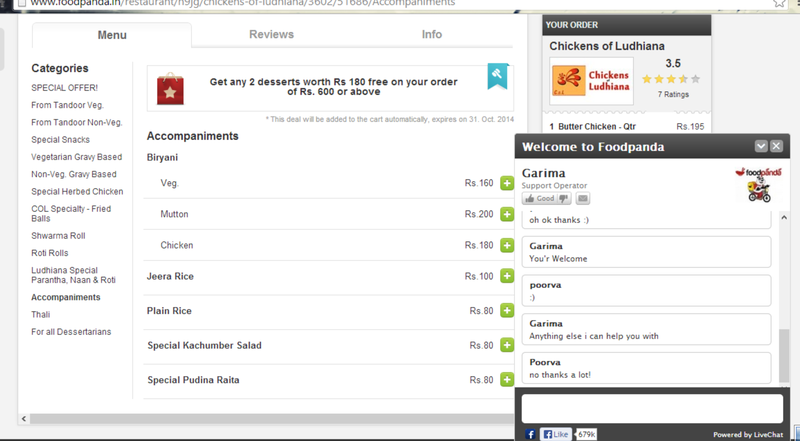 I find the site very useful and a great idea for ordering food. I would personally always prefer ordering through this rather than calling and ordering food home! The only con I found was that the site is still limited to a few cities. They only cater to – Ahmedabad, Bangalore, Delhi, Faridabad, greater Noida, Gurgaon, Hyderabad, Indirapuram, Jaipur, Kolkatta, Mumbai, Noida, panchukla, pune. 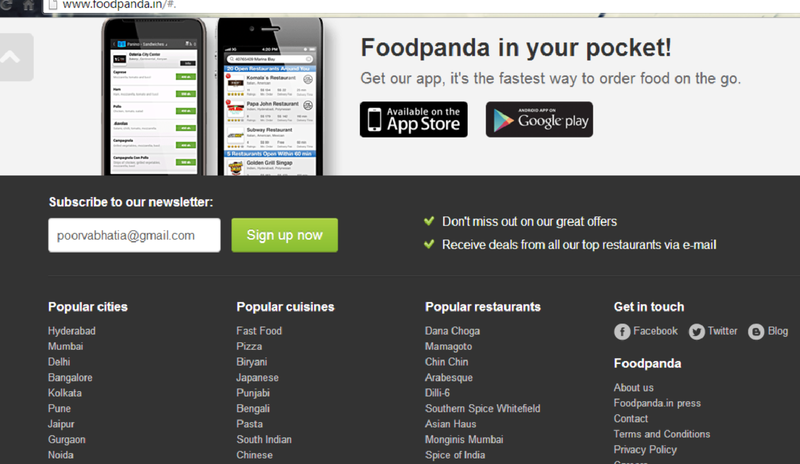 But since foodpanda is still growing, I’m sure they’ll expand their business to the whole of India soon. I really feel this concept is amazing and kudos to their team for bringing it on! 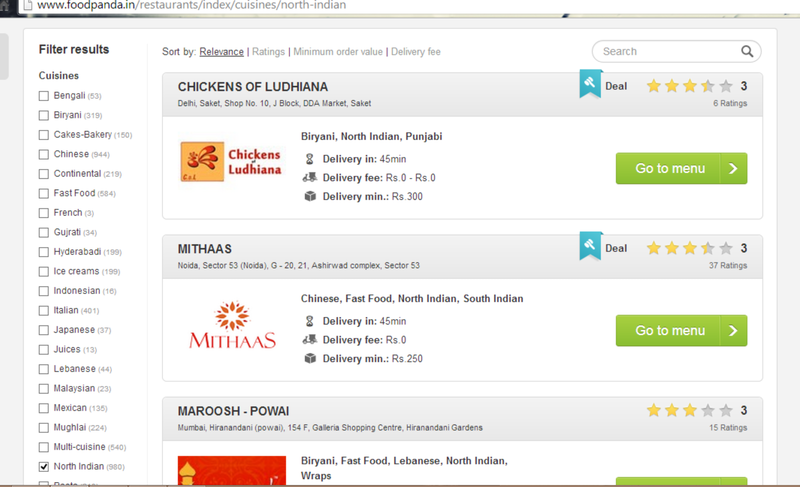 Here’s the link – Foodpanda. < Previous Nivea Lip Butter Caramel Cream Kiss Review, Pictures. Sounds really interesting, will check this out soon..
I’d made few orders from this site and must say its wuiteefficient!